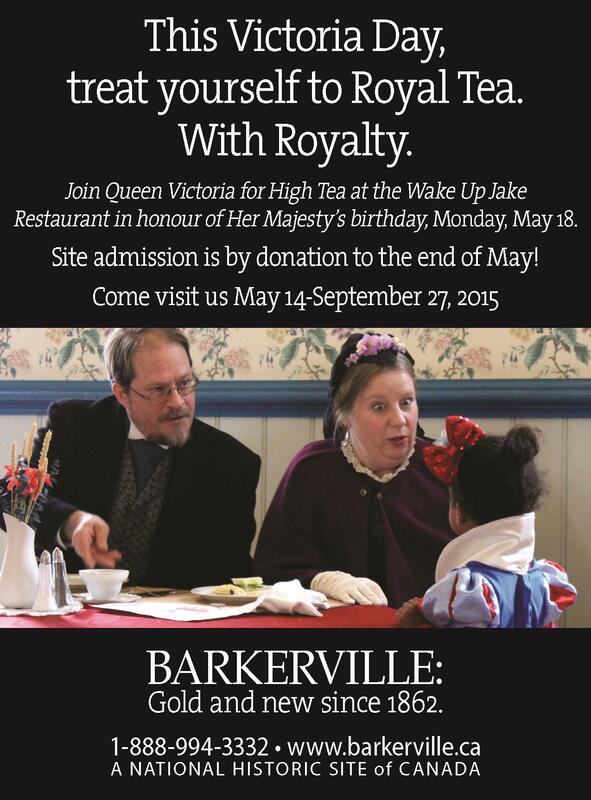 Home » Barkerville » This Victoria Day, treat yourself to Royal Tea. With Royalty. This Victoria Day, treat yourself to Royal Tea. With Royalty. For more information about Barkerville’s annual Victoria Day Royal Tea (with Royalty) please phone James at 1-888-994-3332, ext. 41, or email james.douglas@barkerville.ca.